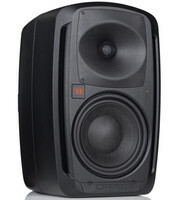 The Event Opal is an eight-inch two-way studio monitor designed to enable the reproduction of the most detailed dynamics whilst delivering incredibly low levels of distortion. The woofer tweeter and amplifier all feature revolutionary technological developments having been completely re-designed for this speaker which helps to create one of the finest studio monitors available. The Event Opal features an 8-inch main driver and beryllium copper tweeter giving a frequency response of 30Hz to 22kHz with a power handling of 1000 watts. The 2030 is Events very first three-way studio monitoring system. 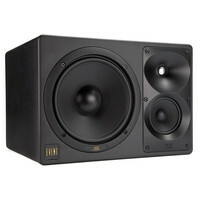 It combines three discrete drivers giving incredibly accurate reproduction of the entire audio spectrum. The 2030 provides unmatched performance in its class.This item is an ex showroom display model. There are light scuffs and signs of use around the casing. The original boxing and manual are not included. Otherwise the unit operates as new.This is a great opportunity to buy a fully functioning product at a discounted price supplied with a one year warranty.Software bundled with the original new product may have been registered or may no longer be included.